What Happens During a Brake Inspection? Most car owners are aware of the role their brakes play in a vehicle. However, many are unaware of what components make up the braking system and what happens when they take their car in for an inspection. Before getting into what goes on during a brake inspection, it is essential to know what the brake system is made up of. Most BMW’s, especially newer models all utilize four-wheel disc brakes. Disc brakes offer better stopping power and are more reliable. The disc brake system includes brake pads, rotors, calipers, hoses, a master cylinder, and brake booster. The disc brake system is quite simple. When you press the brake pedal the two brake pads that side inside the caliper clamp against the rotor. The firmer you push the pedal, the harder they clasp. Older model vehicles might be equipped with drum brakes on the rear. Drum brakes work similar to the disc brake system. However, they aren’t as reliable. They have a housing called the drum and use brake shoes that press against the drum to stop the vehicle. Since many cars are now equipped with the disc brake system, we’ll focus on what happens during a disc brake inspection. Over time the parts of the brake system, specifically the brake pads, will wear down. Brake pads must be changed to prevent premature damage to the rotors or caliper malfunction. Many of the brake pads made today have a wear indicator installed. It alerts drivers that it is time for them to be changed. The wear indicator will make a high pitched squeak noise. Other parts of the brake system can give clues to problems they might have, which makes diagnosing the issue a little easy. For instance, if a caliper sticks it will make a bad burning smell and sometimes produce smoke because of the friction. If the brake pedal isn’t feeling as firm as it once was, this might indicate a lower level of brake fluid that needs to be filled. Brake repair and service is very common in automotive shops. It is a service that has to be done for a vehicle to remain safe on the road. A brake inspection can be done at the shop of Ryan GMW – come, visit us at our repair shop! Curious about what happens during a brake inspection? Here is a list of components that are inspected to ensure everything is working correctly and if anything needs to be replaced. When a technician looks at your vehicle, they will probably inspect the brake fluid level first. Often many of the problems with brakes can be related to low brake fluid. Moving on from the master cylinder, its wheels will be taken off to inspect the workings of the disc brake system. It will include the brake pads, rotors, and calipers. A technician will determine how much of the brake pad is left and if the wear is normal. If something is wrong such as a warped rotor, stuck caliper, or uneven wear of the pads and rotors, they will let you know that those items need to be replaced. Brake inspection is the first line of defense in keeping your vehicle’s stopping power at optimal performance. 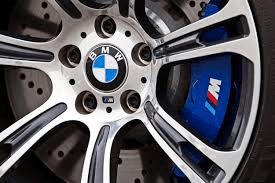 BMW service Roseville CA auto shop Ryan GMW can inspect any brakes and repair or replace parts that need to be changed. If noises or changes in how your vehicle stops are noticed, it might be time to take it in for a brake inspection.